If you haven’t yet created a will, you’re in good company. According to the National Association of Estate Planners & Councils, 56% of all adults in the U.S. haven’t created a plan for how their estate will be distributed when they die. This can spell drawn-out and expensive courtroom battles for your heirs, not to mention that causes and people important to you may not receive the gifts you could have offered had you designed your own estate plan rather than relying on state laws governing intestate succession (i.e., rules on who inherits the assets of people dying without a will). 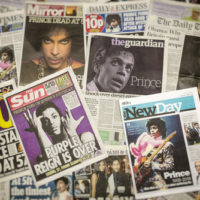 In one particularly extreme case, the recent death of music legend Prince could result in decades of legal wrangling resulting from the fact that he did not leave a will. Prince, dead at only 57, had no spouse nor known children. He left behind an estate valued at between $300 and $500 million, including hundreds (if not thousands) of unreleased songs, a recording label, his legendary Paisley Park mansion, and revenue from album sales which continues to pour in. Even with a will or trusts governing the division of his assets, Prince’s estate would have given the probate court tasked with its distribution a run for its money. According to Prince’s only full sibling, sister Tyka Nelson, Prince does not appear to have left behind a will, nor created any trusts to hold his assets upon his passing. It will thus be up to the probate court to appoint an administrator, likely a professional from the field of finance and banking, to divide the assets among Nelson and her and Prince’s five half-siblings (who, under the laws of Prince’s home state of Minnesota, are entitled to the same share of an estate as a full sibling). This could involve complex questions regarding whether or not to release as-yet unreleased songs and whether to loosen the tight hold Prince maintained over the rights to his music, not to mention the likelihood that other relatives will likely come forward with claims to a portion of Prince’s estate. The absence of a will or trusts governing an estate of such high value also raises concerns for the taxes which will be paid by the estate. If it ends up being the case that Prince did not devise a plan to distribute his assets, the proceeds from his estate could face a tax rate of up to 16% at the state level and up to 40% at the federal level. There are many legal ways to avoid these high tax rates, including ones which could have provided valuable funding to the nonprofit organizations and development of young musicians for which Prince indicated support during his lifetime. If you need assistance in creating an estate plan in Illinois governing how your assets will be distributed upon your death, including the creation of trusts which could offer support to your loved ones for many years to come, contact the skilled and knowledgeable estate planning attorneys at Johnson, Westra, Broecker, Whittaker & Newitt, P.C. for a consultation at 630-665-9600, with offices conveniently located in Chicago, Carol Stream, and St. Charles.